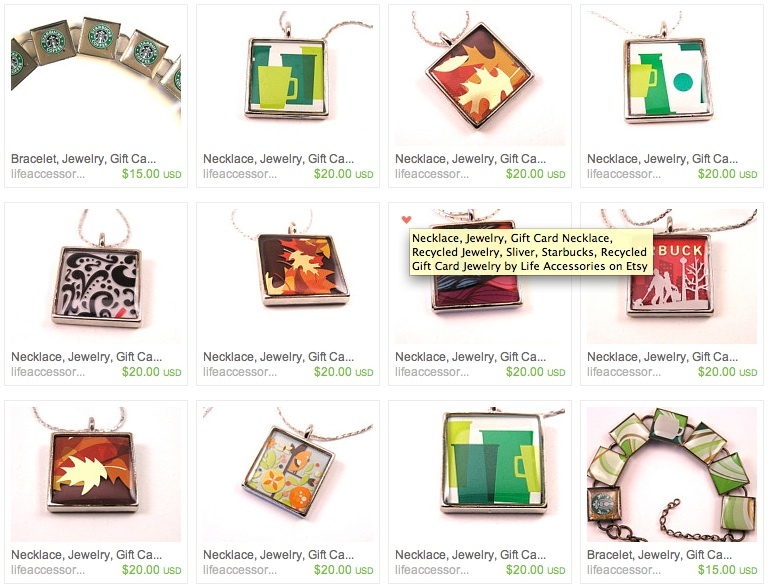 Today I want to share a link that Kim sent in to her Etsy store Life Accessories Restoration at the Heart where she sells her designs for jewelry made from recycled gift cards. THank you for posting my store! I love Craft Gossip, keep inspiring! Love It! Trash to treasure. What a fabulous idea.